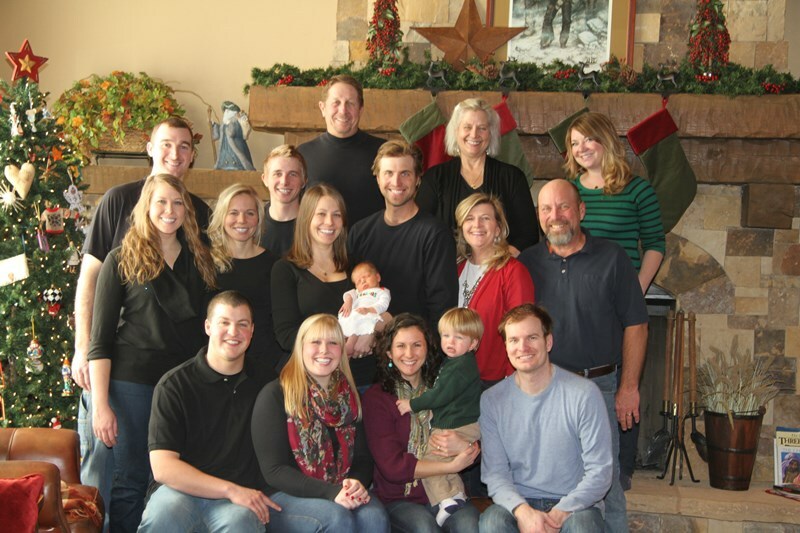 3 years ago, my parents, siblings, and their significant others all came to Colorado to see us over Christmas. Stella was just two weeks old, and it was so fantastic to have everyone here to meet her! At the time, Charlie’s parents and sister Jaime lived here near us, and his brother (along with his wife and our nephew) also flew out from MN, so all 17 of us were together for the holidays. You don’t have to tell me how lucky we are that our families get along so fantastically well. This year (actually, at 6am today! ), we are flying to MN for 11 days over Christmas, and Charlie’s parents are going with us. We really didn’t want them alone for any holidays this first year that we are without Jaime, and so it seemed as good of a time as any for them to visit my parents for the first time! Charlie’s brother, our SIL, and two nephews all live about 4 hours from my parents, so once again, the entire family will be home together for the holidays. Over the past three years, there has been 1 divorce, 1 untimely (aka – horribly early and too young) death, and 2 new babies born, so we are still at 17 strong, but it will be a quite different feeling when we are all together again this year. So much joy, and so much heartache. That is amazing you can all get together from so far apart. You are showing Stella and Harvey what a priority family is to you and yours. Have fun! This is so wonderful! I am completely and totally jealous of the large family Christmas you are about to have. Enjoy it, as I know you will!